'Tis very strange Men should be so fond of being thought wickeder than they are. 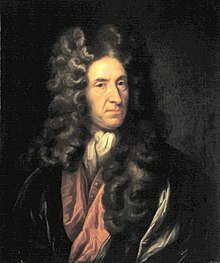 Daniel Defoe (13 September 1660 - 24 April 1731), was an English writer, journalist and spy, who gained enduring fame for his novel Robinson Crusoe. All our discontents about what we want appeared to me to spring from the want of thankfulness for what we have. The Character of the Late Dr. S. Annesly (1697). Alas the Church of England! What with Popery on one hand, and schismatics on the other, how has she been crucified between two thieves! The Shortest Way with the Dissenters (1702). Hymn to the Pillory (1703). Reason, it is true, is DICTATOR in the Society of Mankind; from her there ought to lie no Appeal; But here we want a Pope in our Philosophy, to be the infallible Judge of what is or is not Reason. An Essay upon Publick Credit (1710). All men would be tyrants if they could. Jure divino: a satyre, Introduction, l. 2 (1706). Character of the Late Dr. S. Annesley (1715). A System of Magick (1726). It is better to have a lion at the head of an army of sheep than a sheep at the head of an army of lions. Pt. I, l. 1. Compare: "Where God hath a temple, the Devil will have a chapel", Robert Burton, Anatomy of Melancholy, part iii, section 4, Memb. 1, Subsect. 1. That vain, ill-natured thing, an Englishman. Throughout his lazy, long, lascivious reign. The good of subjects is the end of kings. He told me I might judge of the happiness of this state by this one thing - viz. that this was the state of life which all other people envied; that kings have frequently lamented the miserable consequence of being born to great things, and wished they had been placed in the middle of the two extremes, between the mean and the great; that the wise man gave his testimony to this, as the standard of felicity, when he prayed to have neither poverty nor riches. He bade me observe it, and I should always find that the calamities of life were shared among the upper and lower part of mankind; but that the middle station had the fewest disasters. Ch. 1, Start in Life. I learned to look more upon the bright side of my condition, and less upon the dark side, and to consider what I enjoyed rather than what I wanted; and this gave me sometimes such secret comforts, that I cannot express them; and which I take notice of here, to put those discontented people in mind of it, who cannot enjoy comfortably what God has given them, because they see and covet something that He has not given them. All our discontents about what we want appeared to me to spring from the want of thankfulness for what we have. We never see the true state of our condition till it is illustrated to us by its contraries, nor know how to value what we enjoy, but by the want of it. It happened one day, about noon, going towards my boat, I was exceedingly surprised with the print of a man's naked foot on the shore, which was very plain to be seen on the sand. First appears in Ch. 14, A Dream Realized. The soul is placed in the body like a rough diamond; and must be polished, or the lustre of it will never appear. And ’tis manifest, that as the rational soul distinguishes us from brutes; so education carries on the distinction, and makes some less brutish than others. A woman well bred and well taught, furnished with the additional accomplishments of knowledge and behaviour, is a creature without comparison. Her society is the emblem of sublimer enjoyments, her person is angelic, and her conversation heavenly. She is all softness and sweetness, peace, love, wit, and delight. She is every way suitable to the sublimest wish, and the man that has such a one to his portion, has nothing to do but to rejoice in her, and be thankful. For I cannot think that God Almighty ever made them so delicate, so glorious creatures; and furnished them with such charms, so agreeable and so delightful to mankind; with souls capable of the same accomplishments with men: and all, to be only Stewards of our Houses, Cooks, and Slaves. Robinson Crusoe did not deal with love. Defoe's other stories, which are happily forgotten, are bad in their very essence. Roxana is an accurate example of what a bad book may be. It relates the adventures of a woman thoroughly depraved, and yet for the most part successful, -- is intended to attract by licentiousness, and puts off till the end the stale scrap of morality which is brought in as a salve to the conscience of the writer. 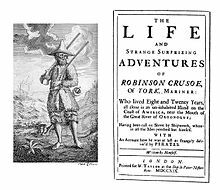 Putting aside Robinson Crusoe, which has been truly described as an accident, Defoe's teaching as a novelist has been altogether bad.